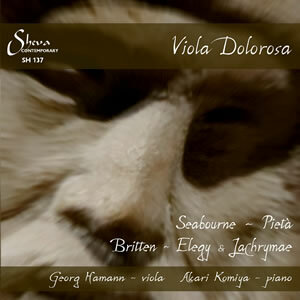 CD Viola Dolorosa on Sheva Contemporary label by Georg Hamann and Akari Komiya. Found widely online as CD, download and streaming. "Peter Seabourne's Pietà, recently released by Sheva Contemporary, is a powerful work that casts a real spell over the listener revealing him to be a composer of immense emotional clout." [Bruce Reader - The Classical Reviewer] full review here. "A finely wrought new addition to the viola repertoire"
[Carlos María Solare - The Strad] - full review here. 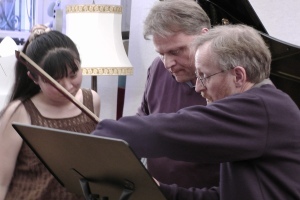 "Seabourne's expressive and accessible score chimes well with Britten's lyrical works, and the rich tonal palette of Hamann's playing is beautifully showcased in the demanding viola line."